I like the oceans, especially the wildlife found there. 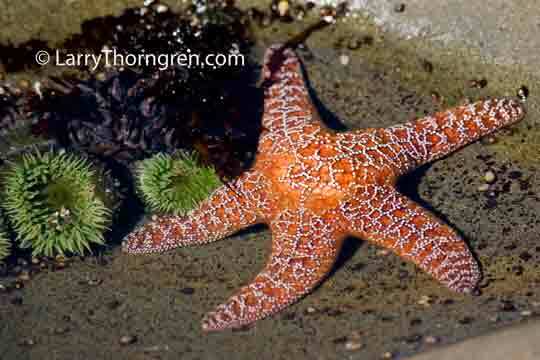 I found these interesting animals during low tide in Olympic National Park. I've tried to find a starfish at low tide and I succeeded once, but it was hiding deep in the crevaces of rocks so I couldn't reach it. Beautiful photo.